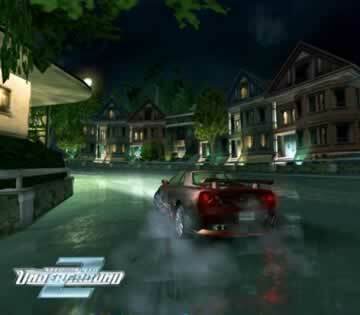 Need for Speed Underground 2 Game - Download and Play Free Version! 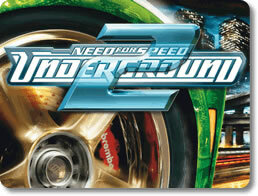 Tune Up Your Vehicle and Enter Bayview's World of Underground Street Racing! Welcome to Bayview, the city of glamour. This is where dreams come true and stars are born. However, there’s more entertainment to find here than just movies and music; Bayview also hosts the hottest underground racing tournaments in the country. Anybody who has a fast tuning car, a lot of guts, and no fear of the law owes it to him or herself to get in on the action. Who knows? You just might become the underground’s newest star! In Free-Roam mode, the streets of Bayview are yours to explore! Navigate through the twisted and turning streets, take in the sights, and learn the lay of the land so that nothing will catch you by surprise once you start racing. Be on the lookout for new races as they pop up. Locate shortcuts that will help you beat the competition. Advance through your career to open up new parts of the city and access more races. Find shops where you can purchase new components for your car and tune it up. You enter the big leagues in Need for Speed Underground 2. Nobody plays for fun in this city; they play to win. If you want to even have a chance here, then your vehicle is going to need a whole lot more than what the dealership put into it. Access dozens of real-life car models, including the Acura RSX, Ford Focus ZX3, Nissan Skyline and more! Complete the look of your ride. Customize you bumpers, side skirts, spoilers, hood, exhaust tips, doors, wheels, headlights, paint job and more! Make a unique-looking vehicle that will stand out from the crowd. Add new components to your car to improve its performance in all sorts of areas. Change its engine, transmission, suspension, tires, breaks, weight and more! Get down and dirty with your level of customization using the dyno-tuning system. Alter the suspension of your springs, shock gear ratios, tire grips, break biases and more. Control absolutely every aspect of your car’s performance! You may have a fast car and you may have tuned it up just right, but it’s still going to take a lot of skill to leave an impression on Bayview’s underground league championship. Take part in all sort of races, including circuits, sprints, drags, drifts, outruns and more. Master a variety of driving techniques, including cornering, power sliding and turning at very high speeds. Watch out for traffic, it can be a killer. You’re in the Need for Speed! Need for Speed Underground 2 expands on everything that made its predecessor great. There are more ways to customize your car, more races to take part in, and a whole virtual city just waiting for you. Set your destination for Bayview and conquer its streets today.